Let's get this straight. 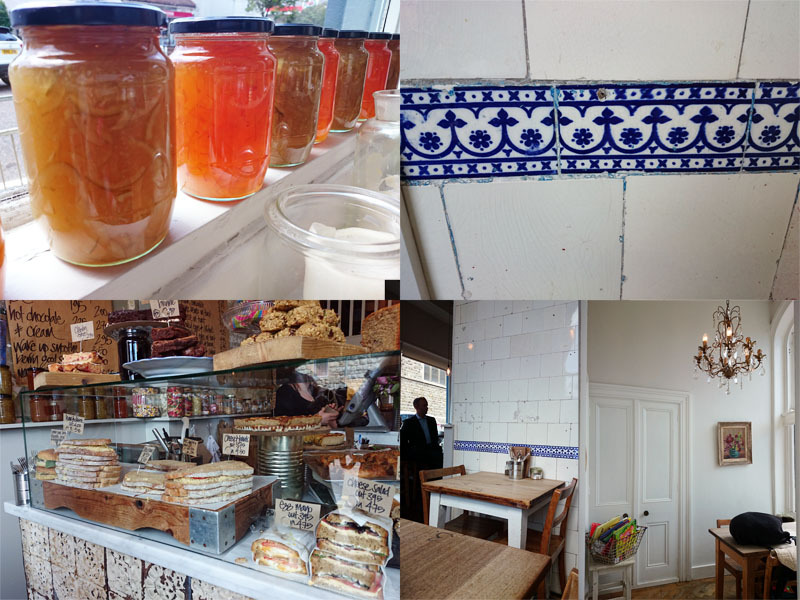 Marmalade is THE middle class hang out in East Brighton. I've lived here all my life and watched the area change dramatically over the last few years. Before it was all betting shops, plumbing supplies and greasy spoons, but today is a different story with the likes of this place, the fabulous Busby & Wilds, Ground and Real Patisserie. Not that I'm complaining. I don't gamble, need a flange pipe or eat fried bread (and was wise enough to get on the property ladder before the Issacs and Olivias racked the prices up out of the local's reach). Anyway, the main USP of Marmalade is the visual. 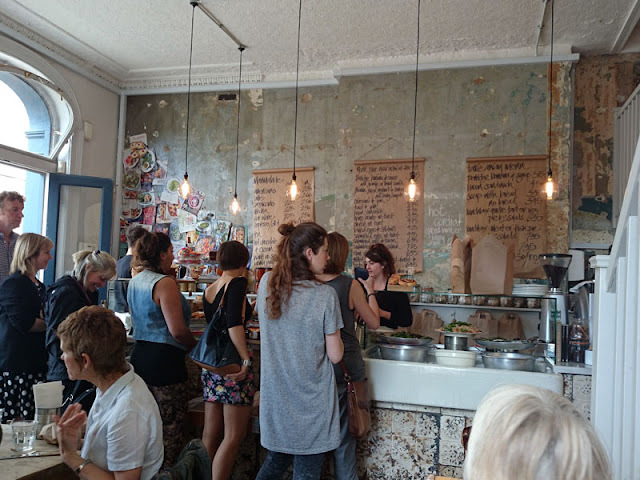 The interior is a fantastic collection of chic reclaimed tiles, rustic objects, dramatic distressed walls, menus scrawled on Kraft paper rolls and the obligatory industrial lighting. It's actually an incredibly beautiful space and a shabby chic look that so many try to achieve but fail to hit the nail on the head with. The food is also displayed incredibly well and everything looks enticing. I love the salad bowls arranged in a butler bath of ice, and the main meals stacked high in metal trays perched on cookery books. 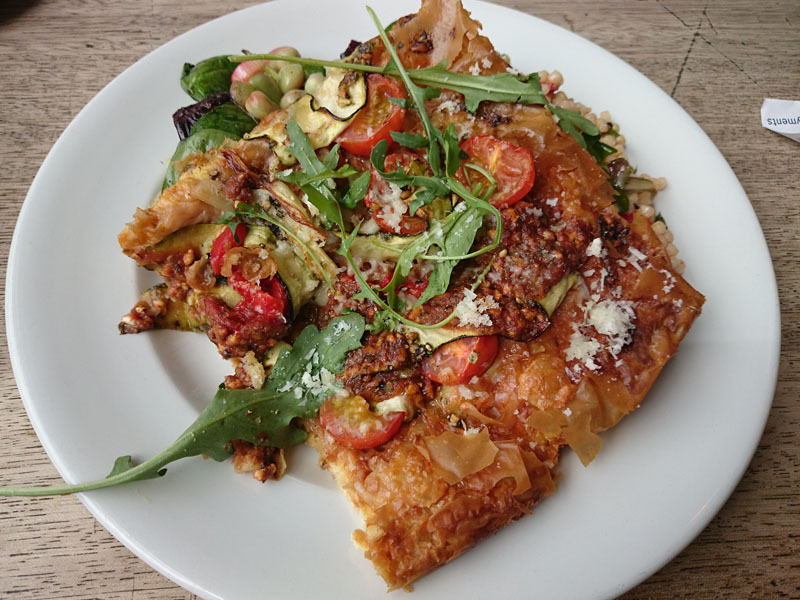 The menu format is simple with contemporary breakfast favourites or at lunch time there's a large selection of sandwiches and a choice of mains like quiche, tarts or roast chicken dishes with two of the salads for around the £10 mark. Pastries and cakes are dotted around for the all day munchies too. My vegetable tart was nice if a little unusual, being a filo pastry case with an omelette like layer underneath the classic roasted veg and pesto topping. This did suffer with a slightly soggy centre but the edges were crisp and delicious. Salads were particularly nice and varied. I opted for the roasted beetroot with spinach, scattered with broad beans and spring onions. The Israeli couscous was filling but probably could have done with more spice and seasoning for my taste. They have a very good selection of drinks including the San Pellegrino range but also some brands closer to home with the wonderful Wobblegate juices. Staff are friendly but buzz about like wasps. They are attentive yet sometimes make me feel like I'm being ushered out of my seat as the limited tables are hot tickets at lunch time. Being asked repeatedly how my meal is or waiters fussing around the table for every empty plate, fork or glass is one of my pet hates. I'm Italian, I like to relax at mealtimes, leave me alone! Also an epic misunderstanding with payment meant a huge queue formed behind me full of beady eyes burning into my head. I think their pricing is keen but just about acceptable, definitely not for everyday although portions are incredibly generous and food is of a good standard. The queues out the door prove that. Regardless, I can't help but love that Marmalade has its home here. I noticed that they have hosted the occasional evening event which I think they should do more of as the lofty interior is even more gorgeous by night and they clearly know their way around the kitchen too. 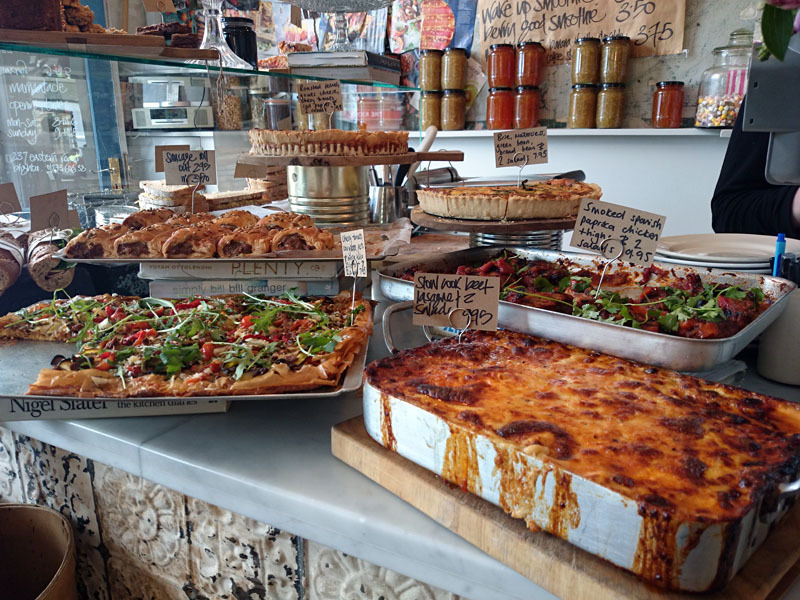 But for a lunch or brunch spot, I'd say it's worth the trek even if you're not an Eastender.